Davis(David to his mother and father), has been working at Via Bicycle for some time now, many 7 years, maybe 300, it’s hard to say, he seems to know everything about the business. He works part time at Bilenky Cycle Works in North Philly learning the bicycle building trade there, I assume to one up me. Under the firm tutelage of Simon Firth and Stephen Bilenky, this bicycle was built for him, by him, with a little help from his friends. 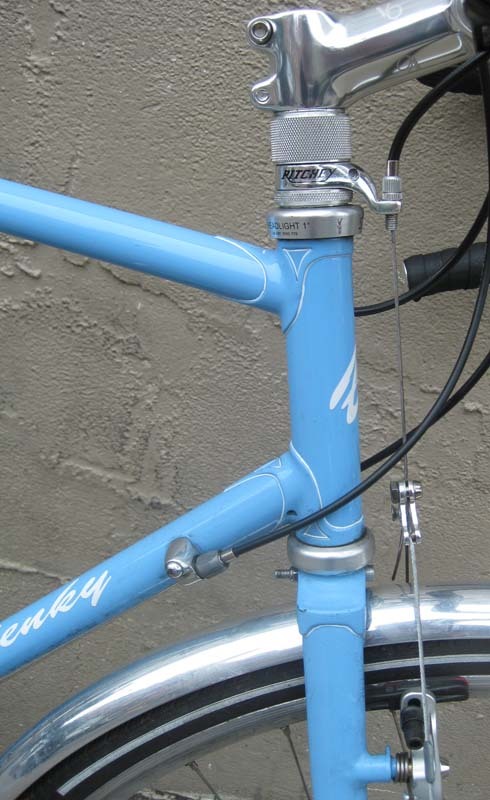 Bilenky Cycles, known for their retrofitting of S & S couplers on frames to make them more transportable, is a formidable bicycle building force. 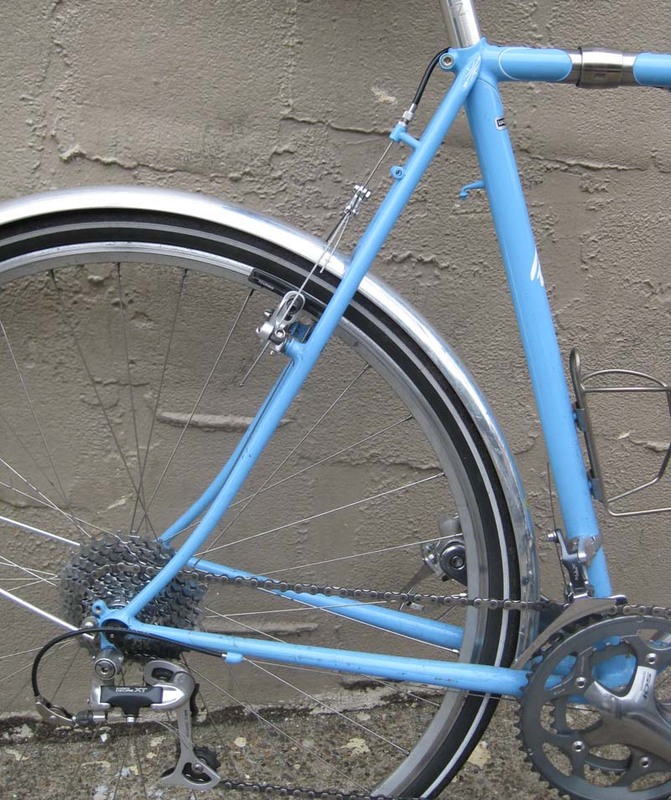 The frameset is built up with a mix of Shimano and Campagnolo, even with a hint of Velo Orange. Maybe if I felt like working 7 days a week, I would be up at Bilenky Cycles as well. But I am known for being kinda lazy, only working 6 days a week at the bicycle shop. 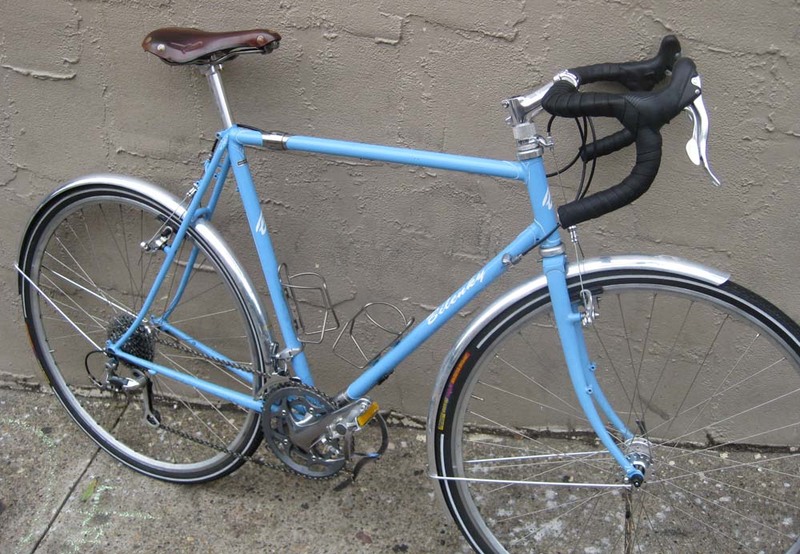 I love the vibrant seatstays, reminiscent of the Hetchins I own. Via Bicycle would not be the same without him either. Wait !!!! 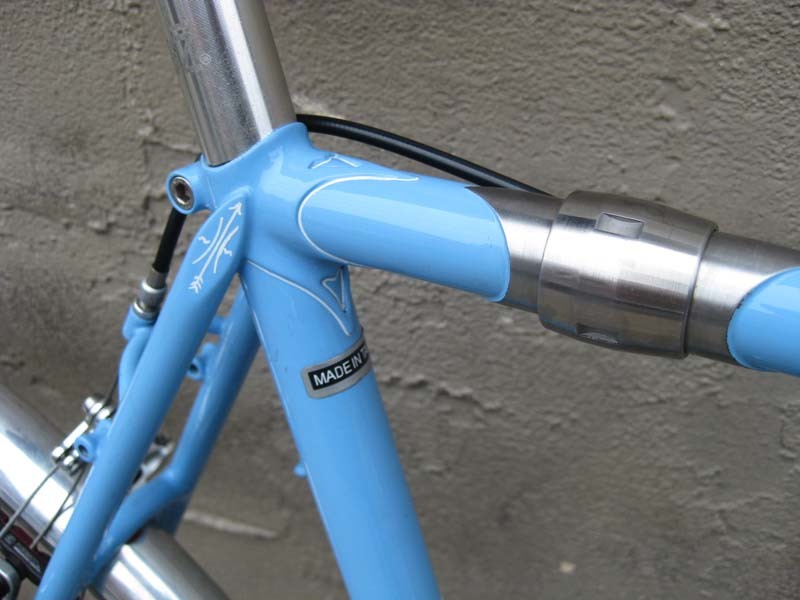 Is that a made in Taiwan sticker in the seat tube???? He's a fraud!! !